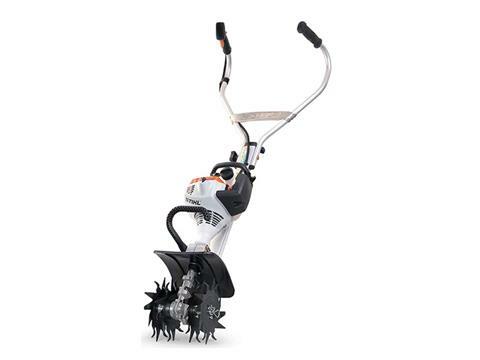 The MM 55 C-E STIHL YARD BOSS® is the ultimate lawn care system. It comes standard as a cultivator and easily transitions to a trimmer, lawn aerator, bed edger, power sweeper and more with optional attachments. With this multi-tasking tool, you never know where the day will take you. But thanks to the STIHL Easy2Start™ system, you’ll always know how the day will start – quickly and easily. Just give the cord a gentle pull and you’re ready to take charge of your landscape. When the job is done, the STIHL YARD BOSS® folds down for convenient storage and transport.